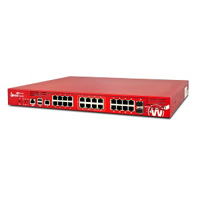 Current WatchGuard customers can earn up to 25% off the purchase of the latest Firebox technology. The WatchGuard Trade Up Program allows you to replace your aging products with the best WatchGuard has to offer, keeping you a step ahead of the evolving threats that endanger your business. Call us today for the best WatchGuard Trade Up Deals available! Trade up your old WatchGuard firewall to a Firebox M370 with 1-yr Basic Security Suite including WebBlocker, Application Control, spamBlocker, Gateway AntiVirus, IPS, Reputation Enabled Defence, Network Discovery and Standard Support. Trade Up your old WatchGuard to the Firebox M370 with 1-yr Total Security Suite including WebBlocker, Application Control, spamBlocker, Gateway AntiVirus, IPS, Reputation Enabled Defence, Network Discovery, Data Loss Prevention (DLP), Dimension Command, APT Blocker, DNSWatch, Threat Detection and Response, and Gold Support. Trade up your old WatchGuard firewall to a Firebox M370 with 3-yr Basic Security Suite including WebBlocker, Application Control, spamBlocker, Gateway AntiVirus, IPS, Reputation Enabled Defence, Network Discovery and Standard Support. Trade Up your old WatchGuard to the Firebox M370 with 3-yr Total Security Suite including WebBlocker, Application Control, spamBlocker, Gateway AntiVirus, IPS, Reputation Enabled Defence, Network Discovery, Data Loss Prevention (DLP), Dimension Command, APT Blocker, DNSWatch, Threat Detection and Response, and Gold Support. Trade up your old WatchGuard firewall to a Firebox M570 with 1-yr Basic Security Suite including WebBlocker, Application Control, spamBlocker, Gateway AntiVirus, IPS, Reputation Enabled Defence, Network Discovery, and Standard Support. Trade up your old WatchGuard firewall to a Firebox M570 with 3-yr Basic Security Suite including WebBlocker, Application Control, spamBlocker, Gateway AntiVirus, IPS, Reputation Enabled Defence, Network Discovery, and Standard Support. Trade Up your old WatchGuard to the Firebox M670 with 1-yr Basic Security Suite including WebBlocker, Application Control, spamBlocker, Gateway AntiVirus, IPS, Reputation Enabled Defence, Network Discovery, and Standard Support.